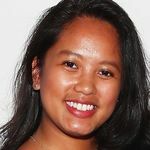 Alexa Valiente, a six-year veteran of ABC News who worked as a producer on the several shows, including "Nightline" and "20/20," died Friday, April 5, 2019 after facing health issues for several months, according to ABC News. She was 27. For full obituary and coverage from Legacy.com, click here. David Horowitz was a consumer reporter who educated the public with his Emmy-winning syndicated "Fight Back!" TV show. For full obituary and coverage from Legacy.com, click here. 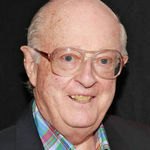 Dave Anderson was a sports columnist and reporter for the New York Times for more than 40 years. He was one of three sportswriters to win a Pulitzer Prize for commentary, receiving the prize in 1981. 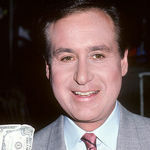 He also received the Associated Press Sports Editors' Red Smith Award for major contributions to sports journalism in 1994. He died at 89. For full obituary and coverage from Legacy.com, click here. 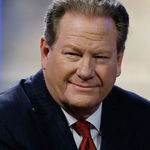 FARGO, N.D. (AP) — Broadcasting personality Ed Schultz, whose career took him from quarterbacking at a Minnesota college to national radio and television, has died. He was 64. For full obituary from Legacy.com, click here. 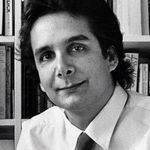 NEW YORK (AP) — The conservative writer and pundit Charles Krauthammer has died. He was 68. For full obituary from Legacy.com, click here. CHICAGO (AP) — Lerone Bennett Jr., an African-American history author and former editor of Ebony magazine, has died at age 89. For full coverage and obituary from Legacy.com, click here. Sports writer and commentator Frank Deford, who won awards for his work with Sports Illustrated magazine and NPR, has died at 78. For full obituary and coverage from Legacy.com, click here. Jimmy Breslin, a legendary New York City newspaper columnist, died March 19, 2017, according to multiple news sources. For full obituary and coverage from Legacy.com, click here. Brenda Buttner, the host of "Bulls & Bears" on Fox News, died Monday, Feb. 20, 2017, of cancer, according to multiple news sources. For full obituary and coverage from Legacy.com, click here. British journalist Clare Hollingworth was just 27 when she reported the scoop of the 20th century: the outbreak of World War II. For full obituary and coverage from Legacy.com, click here. Jeanne Parr, pioneering CBS correspondent and mother of actor Chris Noth, has died at the age of 92, according to Variety. For full obituary and coverage from Legacy.com, click here. Morley Safer, the veteran CBS journalist and correspondent for the network's "60 Minutes," died May 19, according to CBS. For full obituary and coverage by Legacy.com, click here. Michelle McNamara, crime writer and wife of comedian Patton Oswalt, died on April 21, 2016 according to multiple news sources. She was 46. For full obituary and coverage from Legacy.com, click.